New Zealand has always been a hotspot for outdoor adventurers catering to both tourists and locals alike. It is the perfect place for people looking to enjoy their time outdoors. Whether you’re looking for an ecotourism backpacking excursion, a leisurely hike along Hollyford Track or diving into the deep of Marlborough Sounds, you’ll be able to enjoy and experience a delightful vacation in this part of the world. With all of its rivers, lakes and famed coastal destinations, New Zealand is also a top choice for adventurous fisherman from around the world. Fishermen consider New Zealand to be one of the top sporting destinations to test their skills against some of the more wily species. From offshore big game fishing and chartered fishing trips to sight casting dry flies for trout in the famed inland rivers, this country offers every conceivable variety of sportfishing. If you’re planning a fishing trip to New Zealand, you’re probably well aware of (or have at least heard of) the best fishing destinations scattered throughout the country. In this article, we’ve tried to cover the most important destinations across both North and South Island. Auckland – Auckland is the largest city in New Zealand. It offers easy access to one of the best fishing experiences in the country. This entire region offers some exceptional spots for wetting your line and the chance at a trophy fish. Hauraki Gulf merits a special mention when it comes to fishing in New Zealand. You can easily book a boat charter and enjoy an exciting and luxurious fishing experience in these rich fishing grounds. If you’re interested in big game fishing, Hauraki Gulf will be your best choice. In fact, it is almost certain you’ll snag a big one on the outer edges of the Gulf. Once you’ve booked a charter, you can also opt to head out to Great Barrier Island for a peaceful day on the water. Hawke’s Bay – The numerous rivers and lakes of this region are ideal for trout fishing. 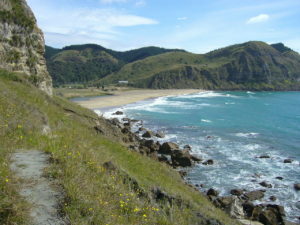 In fact, Hawke’s Bay is one of the best places for angling in New Zealand. With minimal effort, you can reach Tukituki River which is teeming with numerous rainbow and brown trout. This part of New Zealand is easily accessible and you can even reach most places with a two-wheeler as opposed to having to rent a four wheel drive vehicle. Hastings and Napier are nearby with Mohaka River only about 50 minutes from Napier via highway; another hotspot for local trout. Marlborough and Nelson – These places have always been famous for their numerous vineyards and fabulous wines produced year after year. However, there are a ton of opportunities to cast your line when staying in Marlborough and Nelson. Motueka River in the Tasman District is an ideal choice for fishing in the fall and Lake Rotorua is best for some fabulous trout fishing. West Coast – West Coast in South Island has always been a popular destination for outdoor enthusiasts due to its rural and rugged landscape. Arnold River is a great place to fish for brown trout as it is just 15km from Greymouth where it joins the Grey River. The route has been marked to guide tourists to their destination and it happens to be one of the preferred hotspots for fly fishing. 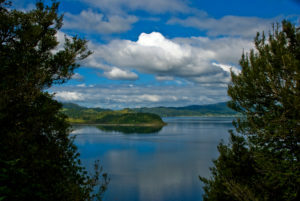 Lake Brunner – This is the largest lake in South Island. Its waters are teeming with brown trout and, in fact, it is one of the premiere destinations for trout fishing anywhere in New Zealand. 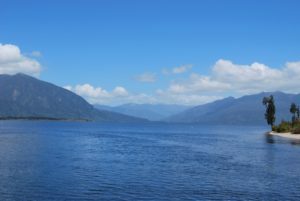 It is located just 31km from Greymouth and, in comparison to other popular local tourist attractions, Lake Brunner is a bit more inland. However, it has recently emerged as a renowned fishing destination with tourism on a big upswing. With crystal clear waters and three large rivers emptying into it, Lake Brunner is the best place for casting your line on the West Coast. You can not miss this place. New Zealand has many more fishing destinations not mentioned here, however, these five are among the most popular with tourists year after year. You can book the adventure of a lifetime with any number of professional New Zealand fishing guides and if you are a keen fisherman, you’ll not have to look any further than these local hotspots.